With the Clippers holding a 121-112 lead over the Mavericks in Monday's matchup, Clippers coach Doc Rivers called a timeout with 9.4 seconds left on the clock in a move that left many confused. No one could have anticipated what happened next. 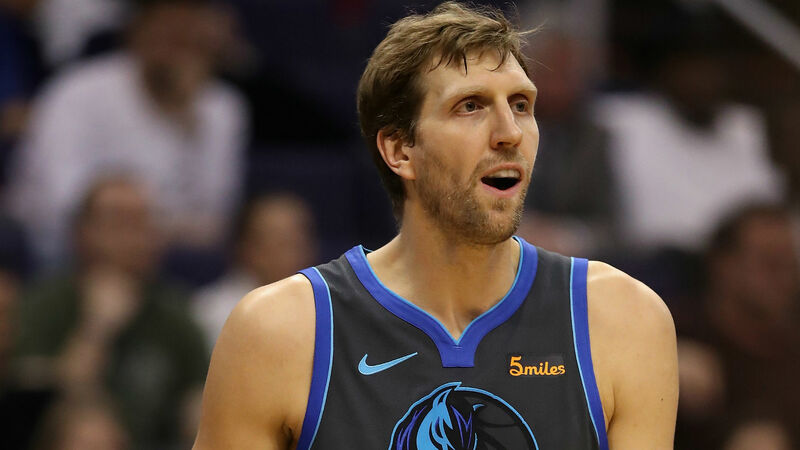 "One of greatest of all time, Dirk Nowitzki," Rivers said while pointing at the Mavericks star, who is set to retire at the end of this season. Nowitzki, who was standing in the paint down the court, responded with a bashful smile and a thumbs-up before waving to the cheering Staples Center crowd. Rivers revealed after the game that he didn't plan the announcement, but regretted not doing the same for Dwyane Wade when he visited L.A. with the Heat in December. Nowitzki admitted he had no idea what was going on at first but cherished the recognition. "It was sweet. I'm really appreciative," Nowitzki said after the game. "At first, I was like, 'Why is Doc calling a timeout? What's he doing with [9.4] seconds left? What's he up to?' Then he grabbed the mic. I didn't really understand much, but that was really humbling. That was an emotional moment and I’m really appreciative." Mavs owner and billionaire entrepreneur Mark Cuban also expressed his gratitude for Rivers' gesture. Nowitzki scored 12 points in his second start of the season and became just the fourth player in NBA history to appear in 1,500 career games. With their fifth straight loss at L.A., the Mavs (26-34) dropped to six games back of the final playoff spot.